Correct. Thanks to David Laing, 60mPa, and Jimmy. 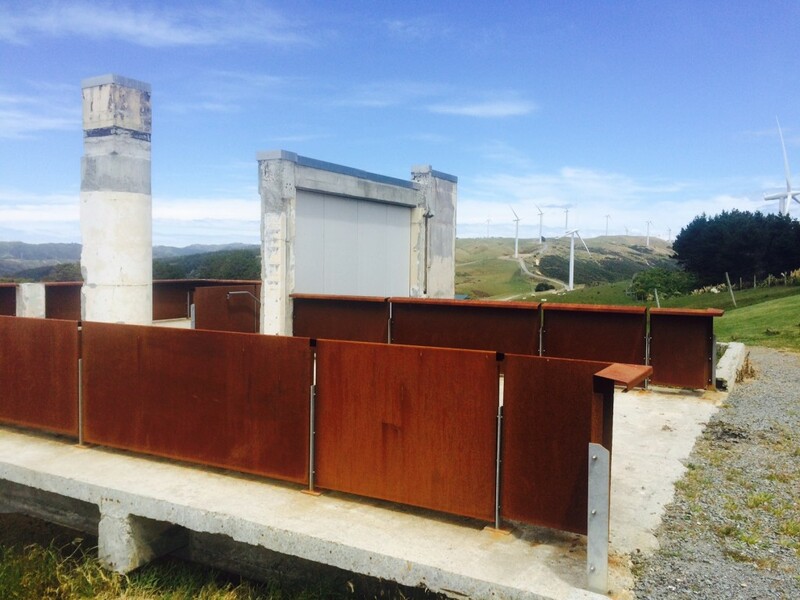 The previous picture did in fact show the ruins of the old Post Office receiving / transmitting station, high on the hills in Makara. I thought that the hills were going to be crawling with mountain bikers, but it seems not. 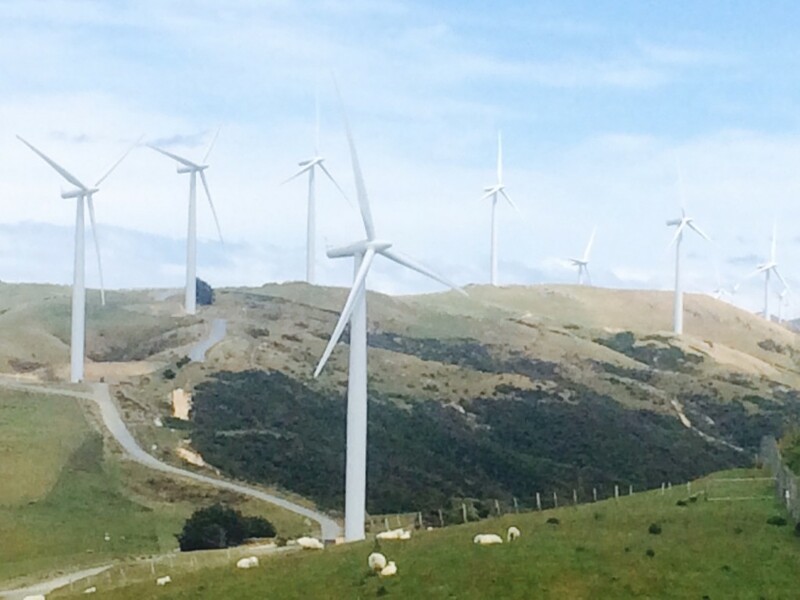 Just the vast, giant, soundless sentinels powering up our nation, those magnificent wind turbines gracing the skyline. North, heading up towards Porirua (a unique position to see Mana Island in line with Kapiti – not normally how we think of these two). 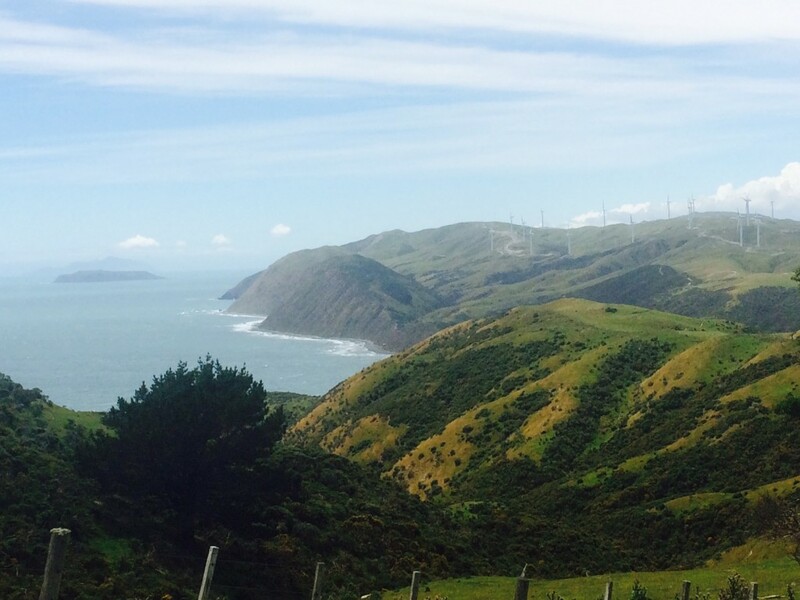 And south, spilling on down towards the Cook Strait. Something very moving about these giants. opposition seems to have quietened down. No anti-turbine signs or flags waving any more. And here is the rest of the ruins – not sure exactly what it was that was here before, the photo on the info display was pretty tiny. But it seems that there was a building, and presumably a lonely operator or two, high on the hilltop – and then someone decided to delete the building. There’s no sign that there was ever a village of dwellings up there. There’s not even any sign of giant transmitting masts, or even small ones. It’s all… …over. It’s all been cut down to size, leaving a train of detritus buried in the land, with just sheep and cyclists as guardians… Is this the ruins that our civilization will leave behind on this site? 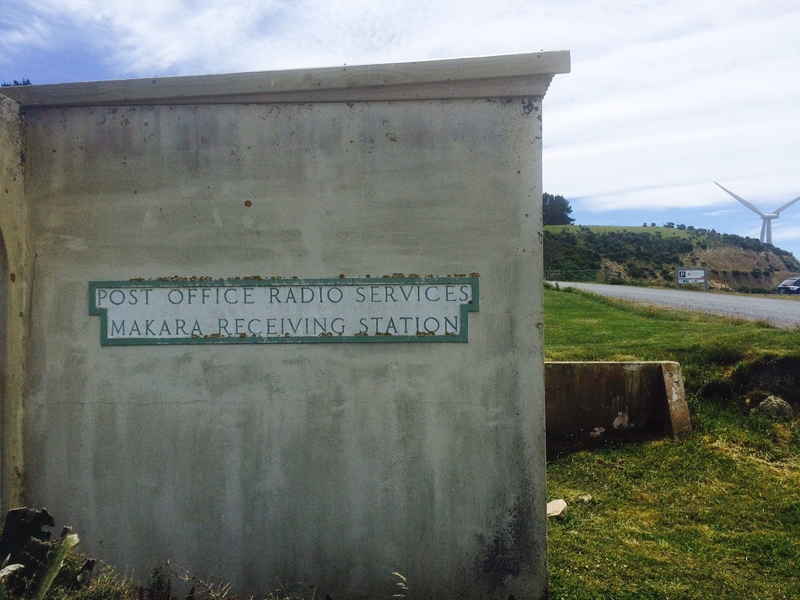 The building used to house the transmitters for Makara Radio which provided HF radio-telephone services to “the islands”, Scott Base and shipping in the vicinity of NZ. The recevers were located on the Himatangi Plains just south of Himatangi on SHW1. It was run by the NZPO until satellite communcations took over. Broadcasting (NZBC?) operated a facility at Quartz Hill, approx 2 km to the south, for reception of news feeds from various international broadcasters. The operators shared the housing in the village that used to be just below the ruins pictured above. I think that a few houses remain and are used by farm workers. There are a more details and photos available on the internet.